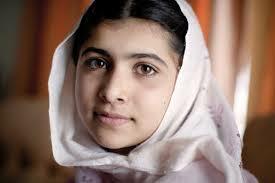 The Asia Game Changer Award to Malala Yousafzai. Speaking at a ceremony held to give awards to Malala Yousafzai, Sharmeen Obaid-Chinoy and eleven other leaders and ins-utions from Asis at the UN HO, Josette Sheeran the President of the Society said the awards are given in recognition of services of people who are truly transforming ideas into action and improving lives in Asia. UN Secretary General, Ban Ki-moon also attended the ceremony.